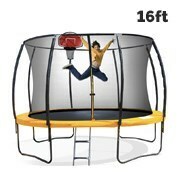 The Range of Trampolines Your Little Ones Have Been Asking For! Looking for a way to keep your kids active, provide hours of entertainment and let them burn off all their excess energy? 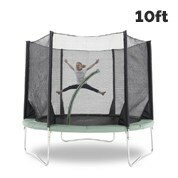 If you’ve been scouring for healthy outdoor play ideas, we’ve got the best trampoline range you need! Thanks to our diverse range of trampolines, both kids and kids at heart can enjoy out-of-this-world fun. 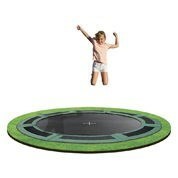 You can ensure that your children are receiving adequate exercise whilst also having fun by getting our children’s trampolines, or give yourself an outlet for all your pent up stress by grabbing an adult trampoline - don’t worry, our strong trampolines will ensure you can have fun too! 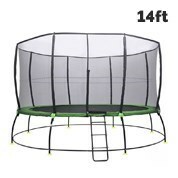 Whatever your needs or preferences, our wide range of trampolines can suit everyone, including rectangle trampolines, mini trampolines, Springfree trampolines and indoor trampolines for those short on outdoor space. 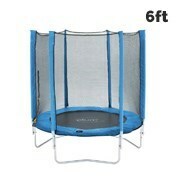 We have baby trampolines, mini versions, 6 ft, 7ft, 8ft and 16ft sizes to choose from. 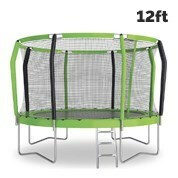 We know that some parents out there are reluctant to purchase a trampoline for their kids due to safety concerns. 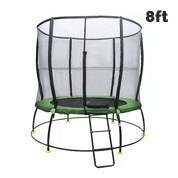 When shopping at MyDeal, you can ensure that you grab a children’s trampoline with a safety net for added peace of mind, allowing children and toddlers to bounce to their heart’s content with the highest level of protection. Many of these products include a fully sealed enclosure to prevent accidents making it very safe for them; each offers impressive features such as UV protection and weather resistance mesh, flexible and strong springs and convenient ladder. We have priced this selection to suit all budgets whilst maintaining high quality. An added bonus is how sleek and stylish our range of trampolines, elevating the look and feel of your outdoor area. 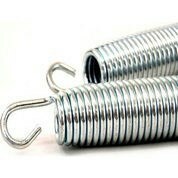 By investing in an exercising trampoline, you will be benefiting the entire family. Not only will it be a great accessory to your outdoor garden décor, it will allow the kids to play within the safety of their own home. 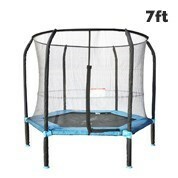 Does your little one want to exercise out of the home as well? Browse our range of toys designed to encourage fitness and movement, such as kids and children's bikes. Treat the kids for Christmas, their birthday, or just because with a toy that has long-lasting benefits.